Interested in opening a business in Downtown Frederick? We can’t wait to help guide your way! Downtown Frederick contains a thriving commercial mix—from eclectic stores and restaurants to professional firms and organizations. Over 3,000 employees work in the Main Street area at nearly 700 businesses or organizations. Many work for government institutions that serve as anchors to the downtown economy. Downtown also is home to a wide range of professionals—from the traditional sectors of attorneys, realtors and financial advisors to an innovative creative class of information technology providers, architects, graphic designers and artists. 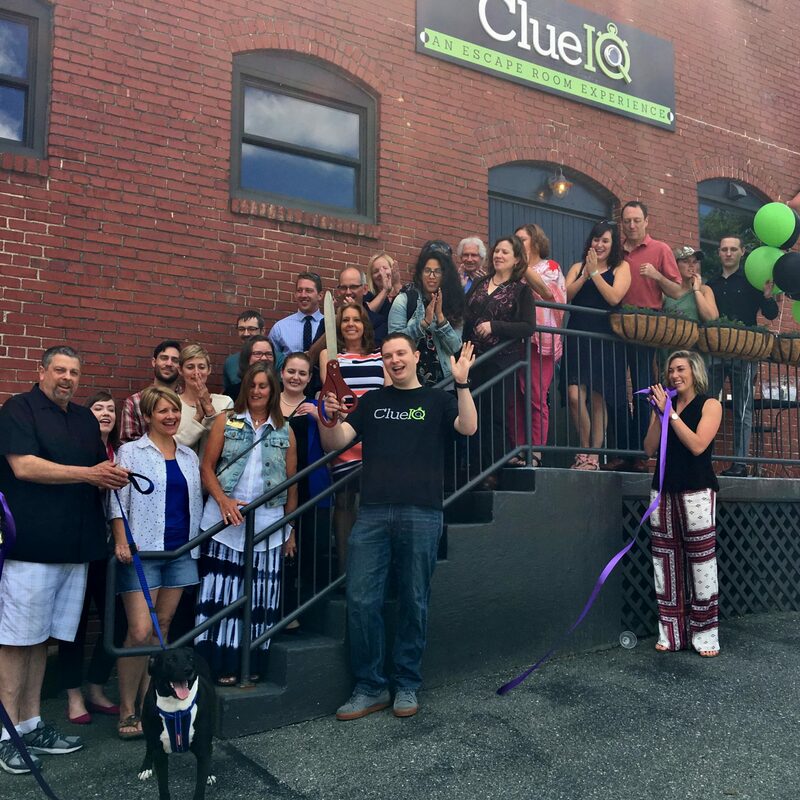 These staff members contribute to a unique blend of history and innovation that differentiates Downtown Frederick from other mid-sized city cores. 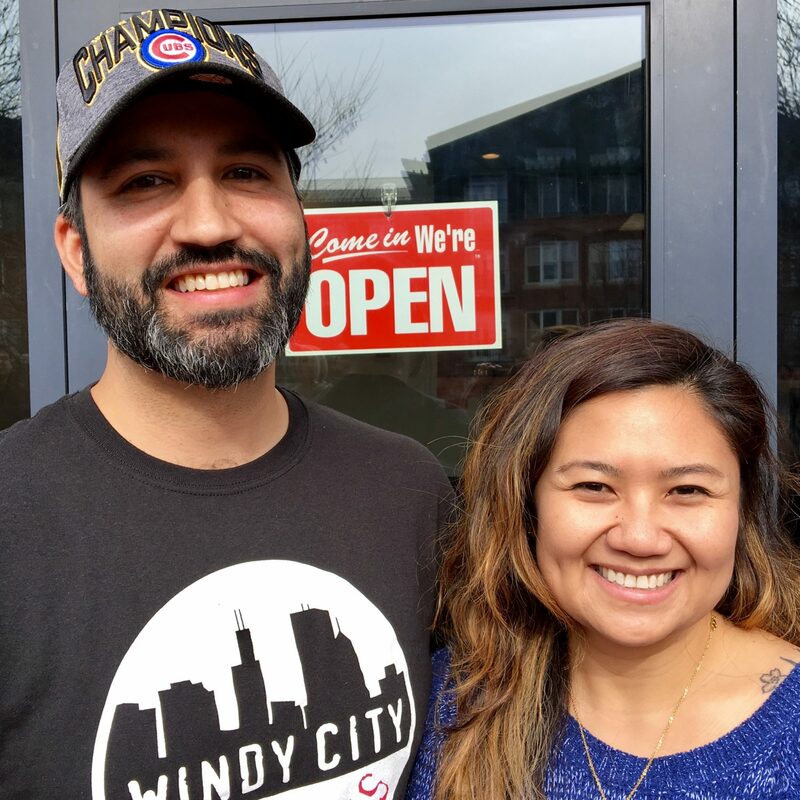 Finally, employees at downtown’s many nonprofit organizations add civic and humanitarian dimensions to the local economy. Time to turn your great idea into a reality? Check out these great resources to get started on building a business in Downtown Frederick. The right space is key to your business success. If you are interested in learning more about which spaces are available in Downtown Frederick, contact us via email (kara@downtownfrederick.org) to request a list of available properties. If you think you have found your space, contact the City of Frederick (thrive@cityoffrederick.com or 301.600.6360) to request permitting assistance. Staff will work with you to set up a meeting with the relevant reviewing agencies (building, fire, health, etc.) to make sure the space is the right fit. Nothing makes your business run smoothly like finding the right team. Check out the resources offered by Frederick County Workforce Services and post your job openings on our Downtown Jobs Board. If you have any questions about how to submit your posting, contact Leeann Dickerson (leeann@downtownfrederick.org). Launch It Downtown is a marketing package created by Downtown Frederick Partnership designed to help establish momentum for your business — whether you’re just starting out, changing ownership, moving to a new location, or celebrating an anniversary. We’re here to help you get the ball rolling with your marketing efforts so that your business can be up and running before you know it! To meet the needs of businesses throughout Downtown Frederick, we offer both a retail and a professional Launch it! package. The cost of each package is credited toward an annual Partnership investment. Ready to get started? Contact us via e-mail (leeann@downtownfrederick.org) or by phone (301.698.8118) to learn more today! Business Welcome Committee: We know starting a business is hard and we want to help you get off to a great start. The Business Welcome Committee is a volunteer group of downtown merchants who have expressed an interest in sharing their knowledge about doing business in Downtown Frederick with new businesses. Organized through Partnership staff, a new business and an existing business are paired to get together for coffee and/or drinks to get your questions answered about doing business downtown. To learn more, reach out to leeann@downtownfrederick.org. Merchant Networking Opportunities: Three times a year, the Partnership plans fun events to get the merchant community together. The Partnership also invites merchants to attend grand openings and other business celebrations throughout the year. Get out and meet your fellow merchants — your neighbor might be your best source of new customers! Get Involved: The Partnership hosts monthly Promotion Committee meetings where merchants have the opportunity to gather, learn about upcoming events and discuss items of interest to the downtown community. Meetings are held on the second Thursday of the month, at either 8:30AM or 6:30PM at various downtown locations. To learn the next meeting date, email mainstreet@downtownfrederick.org. You also are encouraged to reach out if you would like to host a meeting. Stay in Touch: The Partnership maintains two merchant email lists to share information with the downtown retail community. The first list is used by Partnership staff to inform merchants of upcoming events, advertising opportunities and other items of general interest. Merchants also can opt into a second email list where you can post information directly to your fellow merchants. If you want to receive either of these emails, simply reach out to mainstreet@downtownfrederick.org. Join Director of Athletics Damon Evans and Maryland Head Coaches for fun filled events to celebrate the Terps! This is a FREE event but space is limited to the first 100 Terp fans. The Frederick board will be there and we’re excited to see you! Frederick was the first location to sell out 🤩 #TerpPride If you didn’t sign up in time, check out the DC/NOVA event on April 15th! It’s a Cinderella story like you’ve never seen before. Come out with the elite from Bushwood Country Club and enjoy this cult classic film. Step up to the putting green and give it a whack for your chance to win exclusive Flying Dog Brewery golf swag. Tickets are $7 for adults and $5 for kids and seniors. You must have a ticket to the movie that evening in order to participate. Happy hour’s at 6:30 pm and the movie starts at 7:30 pm. Rating: R Runtime: 1 hr, 38 min Sponsored by Flying Dog Brewery. As both an actor and literacy advocate, Levar Burton has captured the admiration of both his audiences and his industry peers for three decades. He continues to enjoy rare longevity in the entertainment business. Burton launched his acting career as Kunta Kinte in the landmark television series “Roots,” which landed him on the cover of Time magazine at the age of 19. Shortly thereafter he achieved further global acclaim as Chief Engineer Geordi LaForge in the “Star Trek: The Next Generation” television series and feature films. From 1983 until 2009 he was host and producer of the beloved Peabody Award-winning PBS children’s series “Reading Rainbow.” He recently reimagined the iconic series through his company RRKidz. The all-new Reading Rainbow app is the number one educational app on iTunes, delivering hundreds of quality books and video field trips to hundreds of thousands of children. In 2014, Burton was at the helm of a record-shattering Kickstarter campaign that will soon bring Reading Rainbow home and school versions to the web. He has received 12 Emmy Awards, a Grammy and five NAACP Image Awards. Burton continues to produce, act and direct in addition to being an advocate for literacy and education. Be part of The Very Hungry Caterpillar’s 50th birthday celebration and nationwide tour, hosted in C. Burr Artz Public Library’s Community Room, 110 East Patrick Street, Frederick. Listen to Eric Carle’s beloved children’s book at this very special story time, meet The Very Hungry Caterpillar (and take photos! ), and enjoy very fun crafts and other activities. It’s going to be a very fantastic afternoon! Presented in partnership with Dancing Bear Toys and Frederick County Public Libraries. Free and open to the public; no registration required. Books will be available for purchase at the event. Part of Curious Iguana’s weekend-long celebration of Independent Bookstore Day. Independent Bookstore Day is a one-day (or, in our case, weekend-long!) celebration that takes place at indie bookstores across the country on the last Saturday in April. Check out our exclusive selection of Independent Bookstore Day products, including signed, special editions; literary art; buttons and pins; journals; and more. Spin the prize wheel with any purchase to win free books, special discounts, and other goodies. Spend $50 or more and receive a free Independent Bookstore Day commemorative tote bag (while supplies last). Free and open to the public; no registration required. Dating back to 500 BCE, the craft known as Macramé was used by the Persians and Syrians for making their own cloths. Macramé arrived in Spain in the 13th century and was introduced in England by the late 17th century. It became fashionable in Britain and America during the 19th century. The versatility of this fiber craft includes plant hangers, wall hangings, hammocks, bell fringes, and belts. Today, macramé is seen in the form of jewelry such as necklaces, anklets, and bracelets. In this one day workshop, students will be introduced to the art of macramé including materials, basic knots, design, and color. A variety of cords will be available to experiment with in making vertical samples with a small sampler/wall hanging created using the knots alone or in combination with one another. Relish Decor and Colonial Jewelers present the Downtown Frederick Wedding Walk! Join us on April 27th to meet your vendors, do some shopping, win some prizes, and get excited for your big day! The grand finale will be the famous Cake Dig at Colonial Jewelers, something you don’t want to miss! Register at www.frederickweddingwalk.com. Embark on a 3-hour guided walking tour and culinary adventure through historic Downtown Frederick. You’ll enjoy food and drink tastings at unique local restaurants and specialty food shops while getting a taste of the city’s history, culture and architecture. All food tastings are included in the ticket price and for most people are enough for lunch. Meeting location given at time of ticket purchase. Refresh your spring style with contemporary porcelain jewelry by Amber E Lea. Made in small batches with sustainable practices, each piece of jewelry is designed as a wearable sculpture. Shop the latest collection of handcrafted earrings and necklaces at the Amber E Lea Trunk Show on Saturday, April 27 from 12-4 pm. Join New England artists Anna Hepler (sculptor, book-artist) and Haig Demarjian (printmaker, filmmaker) as they discuss their artists journeys and unveil new works at the Frederick Book Arts Center. Best known for her enormous, organic sculpture installations, Anna Hepler’s work can be see in the permanent collections of the National Gallery in Washington, D.C., the Tate Gallery in London, the DeCordova Museum in Lincoln Mass. and the Portland Museum of Art in Maine. If you’re familiar with the cult classic Die You Zombie Bastards, you are familiar with the work of its creator, Haig Demarjian. Haig’s newest experiments are with black-light reactive inks and a 15-foot scroll to be unveiled at the Frederick Book Art Center. We’re joining forces with PopUp Frederick to bring you our first Vintage Market and Art PopUp. We’ve hand selected a few of our fellow vintage sellers to join us for a vintage flea. We’re talking the real deal, vintage clothing, glassware, Pyrex, kitchen goods and more. Plus Frederick Vintage MC will be clearing out pieces from storage at huge discounts. Lots of project pieces at great prices, plus big markdowns in the shop too. PIZZA LLAMA, music, and wine and cider tasting too. Don’t miss it. The Cellar Door Presents: T.A., formerly of “Love Story” Mr. Anthony is back! Join us for motown sounds and more during March, April and May First Saturdays at The Cellar Door. T.A.’s Video Release Party will be held during March First Saturday. It’s been several years since their last performance, and The Cellar Door is the only venue you can see TA perform in the Frederick area. $10 Cover and 21+ only. Dress code enforced. Great food, great cocktails, great entertainment! Join The Frederick Center and Frederick Pride for Cinco de Bingo! Hosted by Araya Sparxx, Chi Chi Ray Colby, Jayden Elyse, and Madison St. Lawrence with music from DJ Sidekick. Doors open at 11:30 am; Bingo begins at 1:00 pm. Advance tickets are $35, $45 at the door. Tickets are non-refundable. Ticket price includes an authentic Mexican lunch provided by Taco Bar, voted Best of Frederick. Vegan and gluten free options available. Cash bar available, 21+ only event. Proceeds benefit The Frederick Center’s 2019 Frederick Pride event. More info here. As America approaches the 100th anniversary of women gaining the right to vote, Preservation Maryland will host a traveling lecture series with historian Kacy Rohn which will unravel the history of the suffrage movement in Maryland and a look at the historic places where this story unfolded. This hour long program will explore the history and current preservation efforts aimed at documenting this important moment in American history. The lecture is a part of Preservation Maryland’s Six-to-Fix project to document Maryland’s women’s suffrage history and is supported by a Non-Capital grant from the Maryland Historical Trust. More information here. The lecture series comes to Downtown Frederick on Saturday, May 5, 2019 from 1PM-2PM at the C. Burr Artz Public Library. Co-sponsored with the Maryland Room of the C. Burr Artz Public Library. Join us from 5-8PM every Thursday (except July 4th), May 9 through October 3, for 21 rockin’ happy hours at the Carroll Creek Amphitheater! Featuring great live music, cold beer, wine and local food, Alive @ Five is the networking event that you don’t want to miss. Admission is $5 (paid at the gate) and all events are 21+ only. Our Alive @ 5 will be jammin’ with some alternative music on the Creek! Freddie Long Band is a popular band from right here in Frederick, MD that has the crowds vibing to his covers of some of your favorites. Hope to see you there! Alive @ Five 2019 is a summer-long fundraiser for Downtown Frederick Partnership, presented by DARCARS Toyota of Frederick. These events are made possible by a wonderful team of sponsors. All proceeds from Alive @ Five are reinvested into the Downtown Frederick community. Each morning before Alive @ Five, start your day with free yoga in the amphitheatre from 7-8AM, led by Sol Yoga, and free tai chi from 8-9AM..
We’re teaming up with McClintock Distilling to give you a beginner guide to everyone’s favorite nutty, oaky, and smoky spirit – whiskey! You’ll learn how whiskey is made, the different types, and the history of the barrel aging process. This class will have a special focus on Maryland Rye Whiskey and what makes it so special. Must be 21 to register – since you’ll be sipping! Credited as being one of the creators of modern comics as well as an author whose work crosses genres, Neil Gaiman writes for readers of all ages. He is listed in the Dictionary of Literary Biography as one of the top ten living postmodern writers and is a prolific creator of works of prose, poetry, film, journalism, comics, song lyrics and drama. Gaiman has achieved cult status and attracted increased media attention. Try out the potter’s wheel! We’re offering 3-hour classes so you can see what it’s like, and whether you want to learn more. This is an excellent investment in fun, creativity, & learning a new craft! Classes are held at the Frederick Clay Studio (119 N East St) on the 2nd Saturday of each month. The cost per person is $100 and includes all of the supplies, firings, & equipment needed for the event. For more information, contact the Potters’ Guild of Frederick Gallery at 301.360.0640 or visit their website to register: www.pottersguildoffrederick.com. Sponsored by: Potter’s Guild of Frederick and The Frederick Clay Studio What you need to bring: Wear old clothes Bring an old towel Leave rings and bracelets at home Trim your fingernails. Judy Collins has inspired audiences with sublime vocals, boldly vulnerable songwriting, personal life triumphs and a firm commitment to social activism. In the 1960’s she evoked both the idealism and steely determination of a generation united against social and environmental injustices. Five decades later, her luminescent presence shines brightly as new generations bask in the glow of her iconic 50-album body of work and heed inspiration from her spiritual discipline to thrive in the music industry for half a century. Judy Collins’ award winning career includes such hits as “Send in the Clowns”, “Chelsea Morning”, “Amazing Grace”, “Some Day Soon”, “Both Sides Now” and so many more. She is a modern day Renaissance woman who is also an accomplished painter, film maker, record label head and in demand keynote speaker for mental health and suicide prevention. Put your pen to paper and get those creative juices flowing with Relish Decor. Send a letter to a loved one, update your journal or just get inspired by a like-minded community. Don’t let your busy schedule get in the way of creativity and fun. Join us on the second Sunday of each month from 2-4 pm. Our space is yours to relax and enjoy a 15% discount on cards/stationery. Join us from 5-8PM every Thursday (except July 4th), May 9 through October 3, for 21 rockin’ happy hours at the Carroll Creek Amphitheater! Featuring great live music, cold beer, wine and local food, Alive @ Five is the networking event that you don’t want to miss. Admission is $5 (paid at the gate) and all events are 21+ only. Come out and reminisce with 90’s music on the Creek! The JJ Billings Band is ready to rock the house with some of your favorite songs from the good old days. Hope to see you there! Alive @ Five 2019 is a summer-long fundraiser for Downtown Frederick Partnership, presented by DARCARS Toyota of Frederick. These events are made possible by a wonderful team of sponsors. All proceeds from Alive @ Five are reinvested into the Downtown Frederick community. Each morning before Alive @ Five, start your day with free yoga in the amphitheater from 7-8AM, led by Sol Yoga, and free tai chi from 8-9AM..
Join TransIT Services of Frederick County, The City of Frederick, Key103, Bicycle Escape, The Frederick Bicycle Coalition, and many more for a fun-filled morning of giveaways, commute information and good company as we celebrate Bike To Work Day 2019. This year’s event will take place at the Frederick Transit Center on 100 S. East Street, rain or shine, from 6:30 am – 8:30 am on Friday, May 17th. Local dignitaries, vendors and hundreds of commuters will join you as you bike to work. Select Frederick as your pitstop location. Register at the link under tickets to secure your t-shirt! Enjoy a fun filled evening of creating your own unique clay project all while in the company of a few friends and of course a glass of Chardonnay! The third Friday of every month, relax and take in the full experience of getting messy and letting your creativity flow all with guidance from one of our great Clay Masters. All of the supplies, firings, and equipment needed for the event are provided. Participants need only bring themselves and an old towel. Instructors will demonstrate the project for the class while participants enjoy lite refreshments. Participants must be age 21 or over to drink alcoholic beverages. Due to Maryland liquor laws, all alcoholic beverages must be BYOB to this event. Light snacks are served to go with your beverage of choice To sign up, go to www.leamanpottery.com Event sponsored by Leaman Pottery. What to wear: Wear old clothes, no jewelry on wrists or fingers. Please bring an old towel or two – the clay does stain clothing. Be advised that long fingernails can be a problem and in some cases, prevent working with the clay properly. It is best to clip your nails short for the event. The Green-walled Garden Club and Celebrate Frederick, Inc. are pleased to announce that the 2019 Beyond the Garden Gates Garden Tour will be held on Saturday, May 18 and Sunday, May 19 from 1 – 5 PM in Downtown Frederick & Baker Park. This self-guided tour will feature some of Frederick’s finest gardens, and is sure to inspire green thumbs. Tickets are available exclusively online at CelebrateFrederick.com. For the past twenty years, hundreds of garden enthusiasts have descended upon Downtown Frederick for the chance to explore the elegant, whimsical and inventive gardens nestled behind the gates of private Frederick homes each spring. A favorite of residents and visitors alike, the Beyond the Garden Gates Garden Tour continues to grow in size and attendance. The annual tour has grown to draw over 800 visitors annually and has raised thousands of dollars for local garden clubs and multiple beautification projects around Frederick. In addition to the the stunning landscapes, visitors are also treated to live plein air artists in many of the gardens, as well as a Hospitality Center where guests are invited to refresh themselves during the tour. Join us from 5-8PM every Thursday (except July 4th), May 9 through October 3, for 21 rockin’ happy hours at the Carroll Creek Amphitheater! Featuring great live music, cold beer, wine and local food, Alive @ Five is the networking event that you don’t want to miss. Admission is $5 (paid at the gate) and all events are 21+ only. Enjoy Happy Hour with some brassy music on the Creek! Brassy, funky, Black Masala is a DC based genre busting whirlwind of dueling energies, competing harmonies, and driving hypnotic beats. Hope to see you there! Alive @ Five 2019 is a summer-long fundraiser for Downtown Frederick Partnership, presented by DARCARS Toyota of Frederick. These events are made possible by a wonderful team of sponsors. All proceeds from Alive @ Five are reinvested into the Downtown Frederick community. Each morning before Alive @ Five, start your day with free yoga in the amphitheatre from 7-8AM, led by Sol Yoga, and free tai chi from 8-9AM..
Join us from 5-8PM every Thursday (except July 4th), May 9 through October 3, for 21 rockin’ happy hours at the Carroll Creek Amphitheater! Featuring great live music, cold beer, wine and local food, Alive @ Five is the networking event that you don’t want to miss. Admission is $5 (paid at the gate) and all events are 21+ only. Get funky on the Creek for the last Alive @ 5 in the month of May! Suga Grits is a power funk band based in Washington, DC. Hope to see you there! Alive @ Five 2019 is a summer-long fundraiser for Downtown Frederick Partnership, presented by DARCARS Toyota of Frederick. These events are made possible by a wonderful team of sponsors. All proceeds from Alive @ Five are reinvested into the Downtown Frederick community. Each morning before Alive @ Five, start your day with free yoga in the amphitheatre from 7-8AM, led by Sol Yoga, and free tai chi from 8-9AM.. Explore how wool becomes felt in this workshop geared for children and adults. Students will learn the process of felting to create a useful soap and washcloth combo that is as fun to use as it is to gift to others! Tuition includes supplies and one bar of soap. Federated Charities is pleased to announce our third annual event, The Art of the Dog on June 6, 2019. 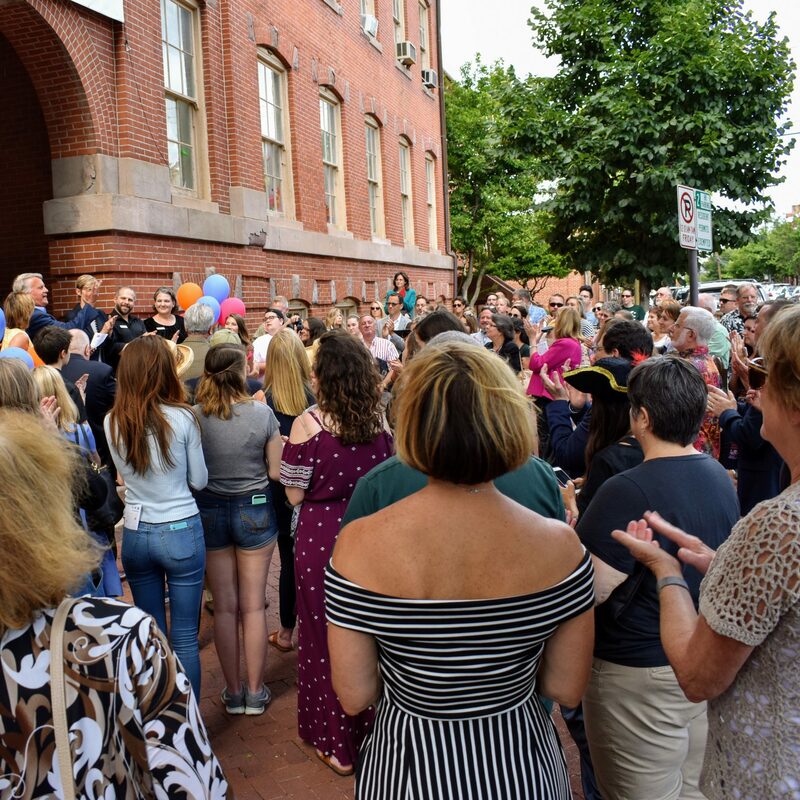 For more than 100 years, the Federated Charities building and our dog on the front steps have been iconic symbols in our community and represent our direct services and the capacity support for countless nonprofits makes a difference for individuals and families in Frederick. Please join us to celebrate our legacy of service and our particular take on the “dog life.” Your event ticket includes beer and wine, eats and a silent auction of items generously donated by artists and makers in Frederick. You will enjoy our newly renovated Remsburg Wing and rear rose garden. We are extremely grateful to our two Top Dog sponsors: Frederick County Bank and First United Bank & Trust, both are local banks who exemplify what it means to be part of the Frederick Community. Tickets are available here and all proceeds from the event support the programs and services of Federated Charities. Our friend and wellness guru, Erika Brown, is pulling back the curtain on the vegan lifestyle. Learn more about the vegan lifestyle and how to create dishes that won’t make you miss meat…that much. Enjoy Flying Dog beers while sampling dishes. With a cast consisting of both stars from Broadway’s greatest rock musicals, as well as incredible Rock & Roll singers, Neil Berg shares the often unknown stories from the fifty-year history of the music that changed the world forever! From the progenitors of Rock and Roll in the 1940s, through the glory years of the ’50s, ’60s, and ’70s, up until MTV in the early ’80s, Neil Berg’s 50 Years of Rock & Roll uses fascinating stories and groundbreaking music, with tributes to such important and iconic rock stars/groups/genres as Chuck Berry, Little Richard, Elvis Presley, Ray Charles, Buddy Holly, Bob Dylan, Frankie Valli, The Beatles, Beach Boys, Motown, Aretha Franklin, The Who, Janis Joplin, Woodstock, Simon & Garfunkel, Carole King, Led Zeppelin, Elton John, Stevie Wonder, Billy Joel, Aerosmith, Linda Ronstadt, Bruce Springsteen, Eagles, Fleetwood Mac, Disco, New Wave, Journey, and others! Frederick Music Productions, LLC is proud to present the 3rd Annual Frederick Jazz Festival at the Carroll Creek Park Amphitheater, scheduled for Saturday, 6/29/19 from 1:30 PM – 9:00 PM. The festival will feature professional artists including the Grammy-nominated Eric Byrd Trio, the legendary Scott Ambush (Spyro Gyra) Quartet, Jazz Times rising star Todd Marcus Quartet, two-time Washington Area Music Award winner Kenny Wesley, and newly discovered artists including female vocalist Tashera Robertson and drummer Aggie Brown III. Come enjoy a day of music, food and craft vendors, beer, and wine at Frederick’s premier jazz festival. For tickets and more information, visit www.frederickjazzfest.com. Explore some of Frederick’s most scandalous, nefarious and unbelievable moments in its past. Stories include bootlegging, bank robberies and the case of Granville Smeltzer & Mary Nussbaum. Length 90 minutes Recommended for 13 years and older. October, Saturdays at 7:00pm. Halloween in Downtown Frederick is great for families and kids of all ages! Costumes are encouraged, though not required. Trick-or-treat at all your favorite downtown businesses (while supplies last) and enjoy some “ghoulish fun” with activities like paint-your-own pumpkins and more. A list of participating businesses and additional activities will be announced closer to the event. Shop local this winter and Get it Downtown!